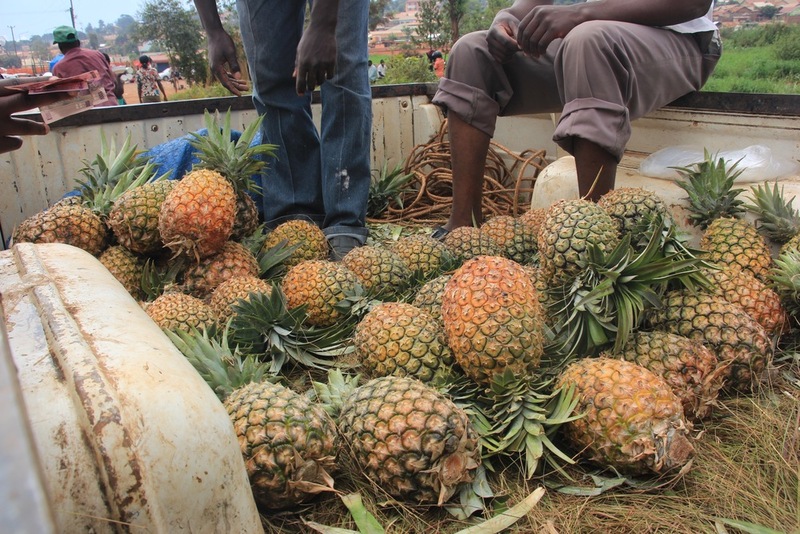 Mzungu Photographer in Uganda Part III: JAMS! One of our jams cause by closing our half of the road for half an hour, even though there was not much traffic going the other way they kept our half closed the whole time the police was hard at work managing the traffic situation. No exaggeration, the majority of our time in Uganda was spent sitting in jams. As a photographer I would have preferred wandering the streets, or the parks in Uganda home to 100s of exotic birds, lions, giraffes, monkeys... but that was neither the goal of our trip or story telling images of WHY we were in Uganda. 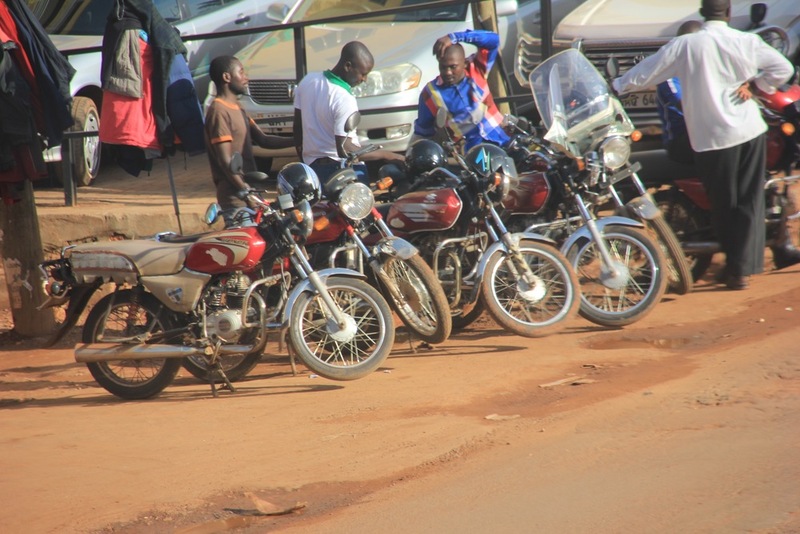 Despite my frustration sitting in the car at the time, the jams did give me a window into the lives of people in the area around Kampala. The Jams punctuated our lives, they were the tune we danced to. Jam! 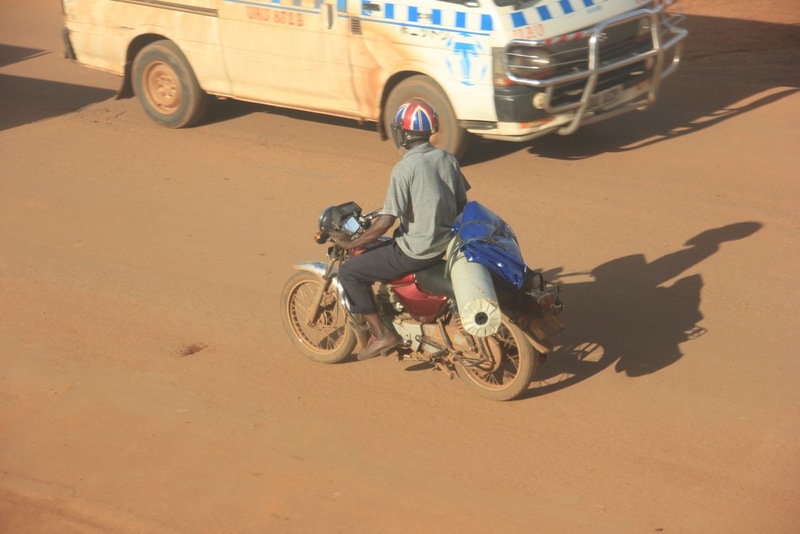 To the average westerner just arriving in Kampala (guilty as charged) these Frankenstein-ish 2 wheel contraptions look like unregulated deathtraps. My first day there I just expected an accident to happen either because one was falling apart or because a driver hit incoming traffic by going down the wrong way in traffic. Yet the whole time we were there other than our own wheels getting off the road... we didn't see a single accident. We saw some luggage one these things that we wouldn't imagine fitting in our SUVs or pick up trucks. we saw them driving with 3 or 4 grown men on the back, something out of a Charlie Chaplin movie. We cringed as we saw them speed by us with an infant across their fore arms and a young child wrapped around their waist. Yet despite this apparent anarchy there is a poetic reason to the madness. The second night the team was there we were to meet someone in the evening. It was supposed to take 20 minutes. But the Jams had other plans. While sitting in the Jams Martin (who was also our river the whole time bless his heart) talked to friends on the phone that had dropped off our luggage at the orphanage. They where STILL stuck in the Jams... it had been 5 hours. 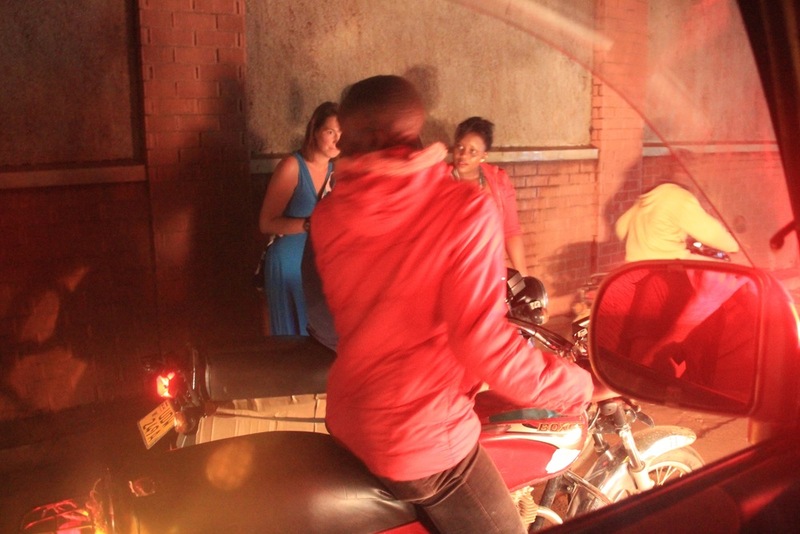 With that the Girls hopped out of the Van and decided they would take the Boda boda. It happened within a few seconds so quickly I was not able to take descent pictures of them. 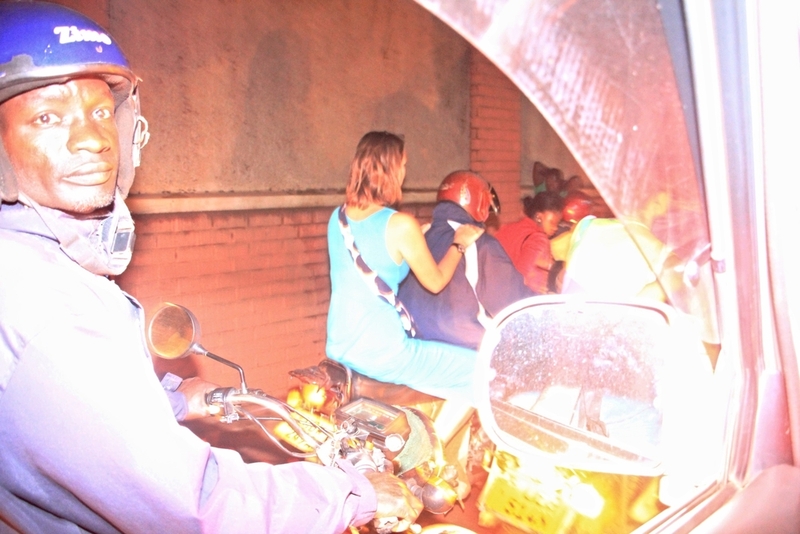 2 minutes after the girls drove off a friend of Martin's came to sit in traffic for us (on foot) and we jumped on a Boda boda together. 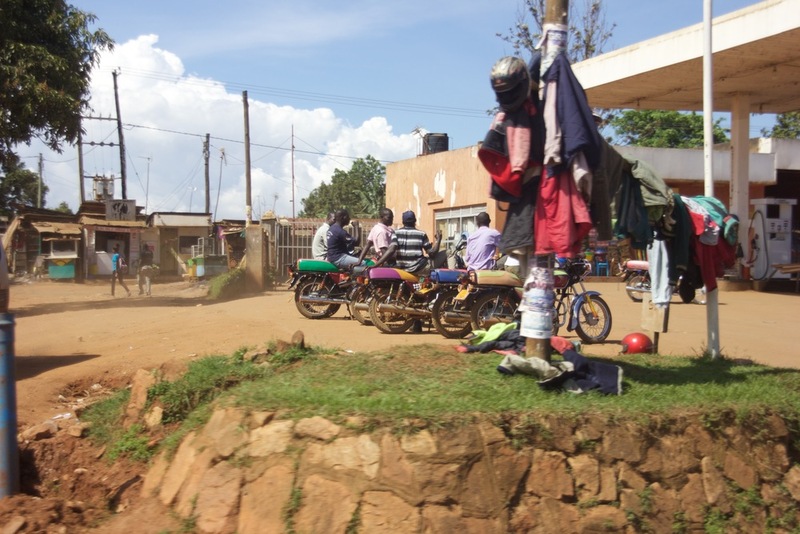 Despite my initial cautiousness I do have to say ridding the Boda boda was one of the most exiting experiences of being there... not just because we were zooming through traffic, going up on sidewalks bouncing in pot howls... But because it was a moment where I was no longer observing the culture from the window and was actually entering into their lifestyle... It was leaving the mocking westerner behind and appreciating these contraptions for the need they fulfilled. 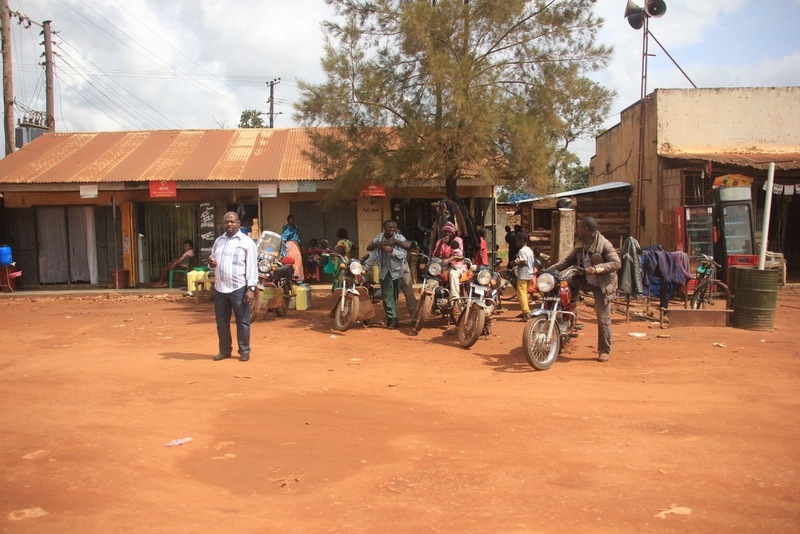 Once on the Boda boda it took us about 5 minutes to get to our destination and to be honest... I felt like a kid on a roller coaster was was a little sad it was already over. Jams are part of the rhythm of life. 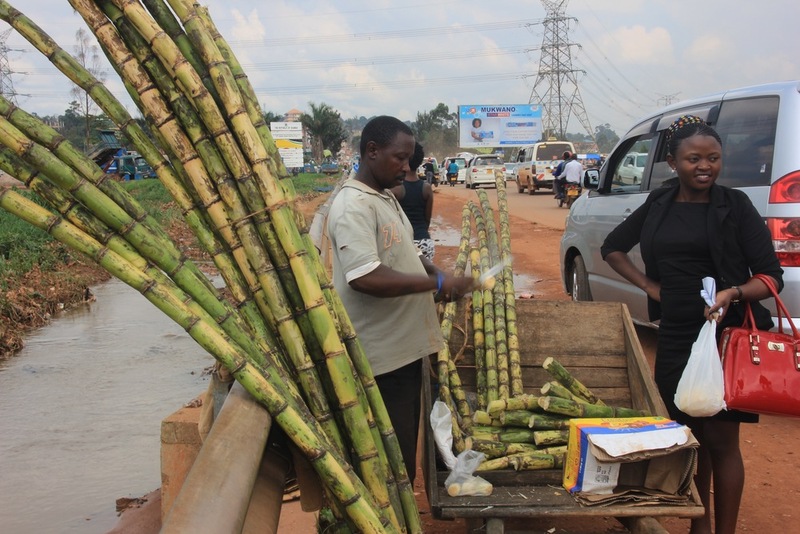 business' of all kinds rely on them to provide a Uganda style drive through shop/service station. In fact one person was stationed everyday at one spot selling tarps to cover things from the rain... but every time we passed him there was NO Jam. We really wanted a tarp to cover the desks that are outside and kept telling Martin to stop... but there was no Jam he couldn't stop.